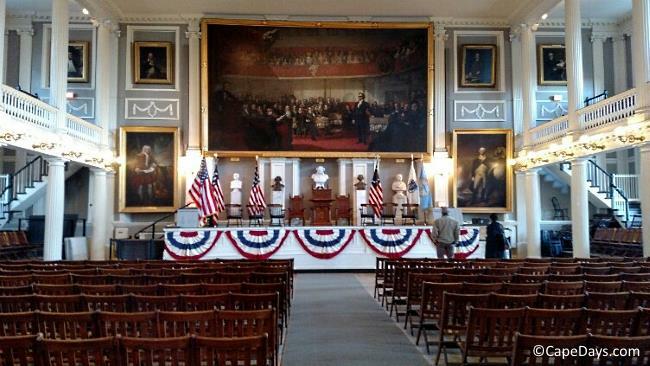 Question: What are the best months to clam and which towns are recommended? 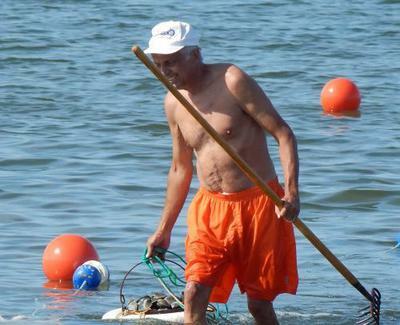 Dee's Reply: Hi Joanne - July and August are peak clamming time on Cape Cod. That's when the water temps are comfortable enough to stand knees-deep (or deeper) for an hour or two of digging. If you're not adverse to chilly water, then you might be okay with spring or fall clam digging. But I'm a warm-water girl. 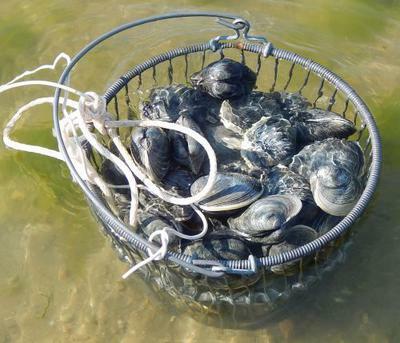 For me, it's not worth the effort to don a wetsuit or waders just to dig a bucket of clams! As far as where to do your digging, I'd say Eastham is one of the best clamming towns on the Cape - especially for first-time diggers. Eastham has a good amount of shoreline that's regularly open for clamming. And the fee for a visitor's shellfishing permit is very reasonable. $30 for a 7-day permit, versus $50 or more in other towns. 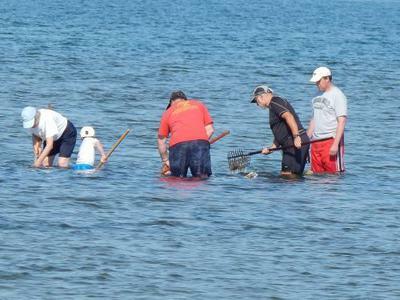 If you're new to clamming and want to see how it's done before you venture out on your own, there's a great tutorial program that's held on summer Sundays at Salt Pond in Eastham. 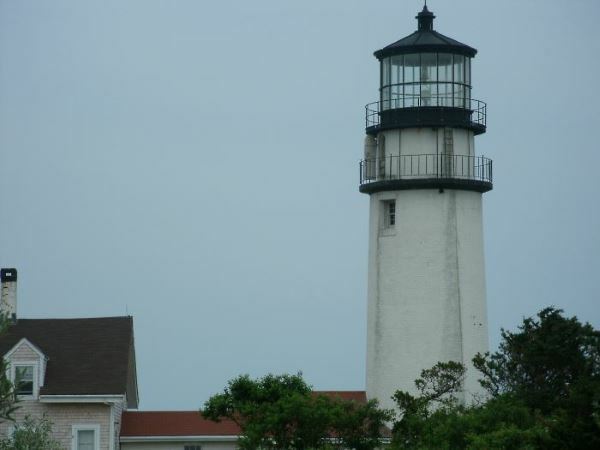 The demonstrations are led by a Cape Cod National Seashore park ranger, they're family friendly, and best of all - they're free to attend. Note: The CCNS activities page is updated periodically during the year. Details about the current year's shellfishing demonstrations are usually posted in late spring or early summer. 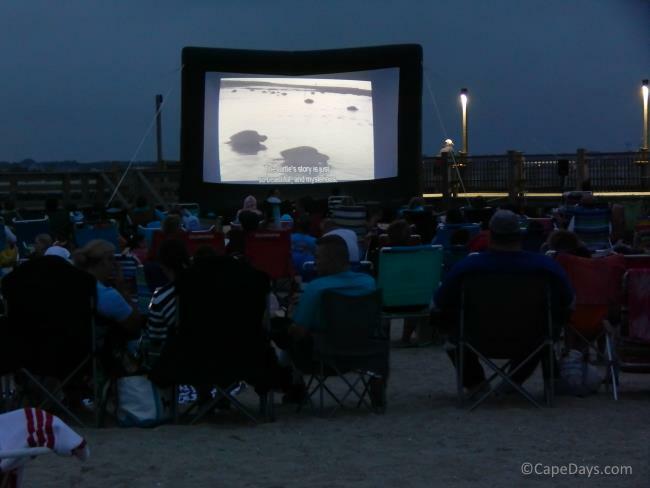 If you'd prefer to do your digging in a town that's more centrally located on the Cape, Harwich and Brewster also have good clamming spots and the permit fees for visitors are very reasonable. I hope this information helps. If you have more questions, please feel free to ask! UPDATE: May 2016 - While speaking with a park ranger at the National Seashore this morning, I learned there won't be any shellfishing demonstrations this year. Hopefully they'll start up again in 2017!